Throughout the decades, there have been industries that have stood the test of time despite the changing in technology that has closed many businesses over the years. One essential business sector, the automotive industry, shows absolutely no signs of going extinct as transportation is a major part of our lives in the 21st century. With that being well known, what isn’t so obvious is how marketing on the local level for cars hasn’t changed in decades. While websites like eBay Motors and CarFax have added a new dimension to sales, car dealerships are still operating as if it were the 1990’s. We could sit here and speculate as to why the industry hasn’t changed over the years, but the lack of qualified millennials in key positions is a possible variable that shouldn’t be ignored. 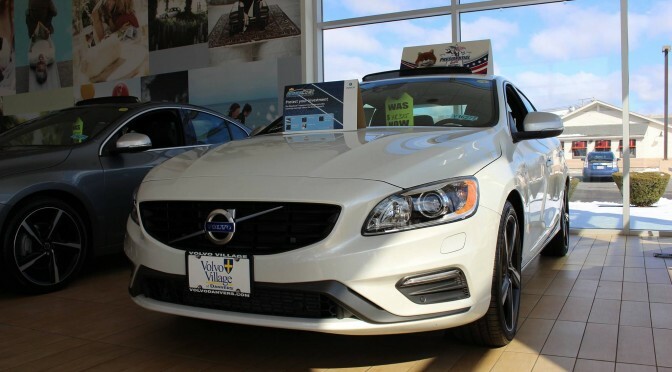 Yes, car salesman are beginning to get younger and car dealerships have made great strides in hiring experts on the brand of vehicles they sell. However, that’s still not enough to revolutionize the marketing behind car sales. 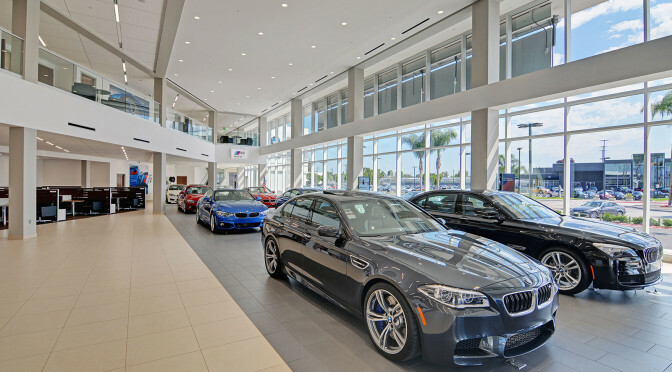 Brand experts don’t market, in fact dealerships are using such a term because “car salesman” creates a bad perception that reflects poorly on dealerships that want to be friendlier with customers and not push a quick sale. A revamped marketing strategy that hires committed employees or freelancers, depending on the size of the dealership’s franchise, is a must in the 21st century. It’s not enough to add someone who is familiar with marketing; you need enthusiasts who are passionate about vehicles, no matter what brand you sell. These enthusiasts will be your best marketers, and well worth the investment of time and money as their vision for content curation, along with their social media savviness will outperform the most experienced person on your staff. You’re probably asking why should we hire car enthusiasts, and how will our marketing change in the hands of a millennial? 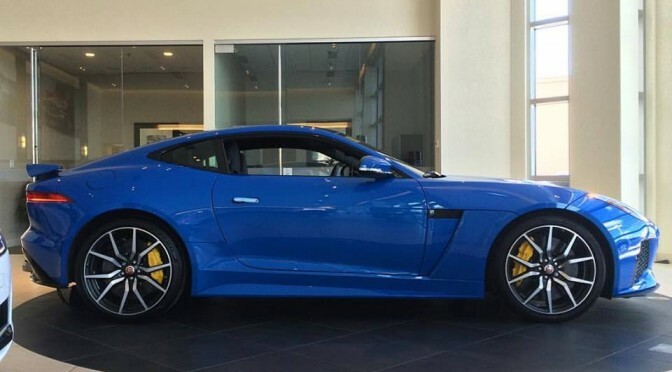 To start, car enthusiasts who are also marketers know exactly what turns a potential buyer on. Digital media, through the forms of video and pictures is the future to car buying as YouTube has completely changed the game in terms of introducing vehicles and brands to customers of all demographics. Car and Driver magazines used to be relevant, but today, customers in the market for a new car, go straight to YouTube for reviews on the models they’re looking for. Why not get in on the action and create the content yourselves? That’s where the car enthusiast/marketer comes into play. Millennials are well aware that social media is a powerful tool in generating interest, and enticing potential customers to walk through the door. Facebook, Instagram, and YouTube are the three major weapons that should be in car dealerships’ arsenals. Facebook provides a blog-like structure where updates in text or digital media form can be created. Instagram is where high quality pictures draws the interest of the viewer to follow your account and check out your website. YouTube is the flagship where your best content is created. Here car reviews, walk arounds, previews, and unveilings are all posted, and by tying the video producing platform with other social media channels, your marketing efforts have been fully upgraded where anyone, even those who reside in other states, are being reached by your content. Most importantly you must stay consistent with posting, which is why hiring an enthusiast/marketer is the key to having a successful marketing strategy. Far too many dealerships post sporadically, while others who stay active see the most ROI and engagement. In 2017, make sure your dealership(s) joins the 21st century and starts marketing in the year that we live in. Car sales happen every day due to the necessity that vehicles bring, but wouldn’t you like to increase those sales figures in the 1st quarter of the new year? Now is the time to take advantage of what millennials have to offer, especially those who are knowledgable in the business sector your dealership is in. Social media offers great opportunities to grow your franchise’s brand, and it would be foolish not to implement it into your marketing strategy. When you think of QVC, Shark Tank’s Lori Grenier is probably the first person you’ll associate the channel with. Dubbed “The Queen of QVC”, Lori made a living from selling her products by using the platform to promote her products on television. Her success catapulted the channel’s household name recognition, and for the past 5 years or so they’ve been the king of infomercials, and arguably so as many businesses have reaped the benefits of using QVC as a marketing channel. However, all good things must come to an end, and sometimes even kings and queens get dethroned. Ladies and gentlemen, the new kid in the block, Facebook Live, is ready to change how you shop and how businesses advertise to you. Live streaming is slowly becoming a part of hour daily lives. Whether it’s Periscope, YouTube, or Facebook, you’ve either watched a live event, tuned into your favorite vlogger’s live Q and A, or perhaps even you have picked up your phone and went live. Needless to say our phone, laptop, and tablets are just an arm’s reach away, and tech savvy businesses are well aware that your attention is no longer focused on the television, but on social media. On my Facebook news feed, a childhood friend had commented on a live stream from a small business that was selling women’s clothing targeted towards women in their 20’s. Of course being a guy, I wasn’t interested in what these women were selling, but the marketer in me couldn’t help but notice the effectiveness of having a live infomercial where viewers’ questions were being answered immediately. The ability to interact live through the use of Facebook will eventually bring many businesses in television marketing, like QVC, to their knees. How can you draw businesses to use your platform if there’s a cheaper, more effective and direct solution to a problem that up until now, has been a brick wall that has stopped many small businesses from getting to the next level? 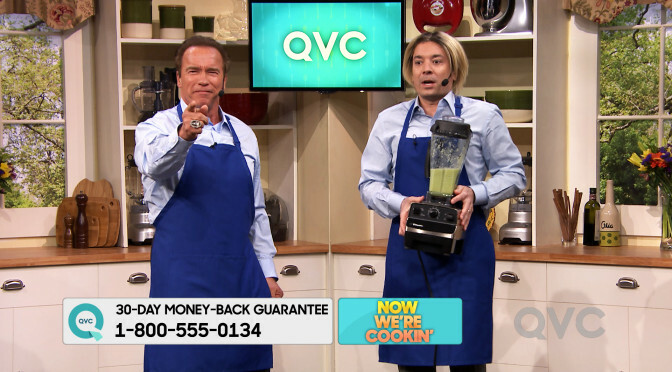 To get a spot on QVC, you’re looking at paying $10,000 if not more. On Facebook it’s free to live stream, and your only costs will be ad campaigns and boosted posts. What live streaming has essentially done is break down the barriers that have held small businesses back and now give them the chance at national, and possibly global expansion to new markets through the use of social media channels. The power is no longer in the hands of a selective few, and now women in their 20’s can pave their own way to success by utilizing Facebook live. QVC may not be the only potential casualty as social media and live streaming become more common and mainstream. Many old technologies could become obsolete, and much like MTV’s emergence killed the radio star, social media could very well be the death of television as we know it, and along with its funeral, many businesses related to TV could very well go under if they don’t transition over to platforms such as Facebook. Despite the many businesses that could be affected by live streaming replacing a large portion of television shows, infomercials, and sporting events, new companies will arise, ushering in a new era. We could be living through a technological revolution, bigger than many have anticipated, that along with it brings a wave of small businesses popping up across the country that will no longer be regionally based, but could conduct business throughout the county and internationally. We’ve only seen the tip of the iceberg, and with each passing day, it just continues to get better and better. While QVC’s days might be numbered, we are now entering the Golden Age for small businesses who effectively use social media to the fullest. 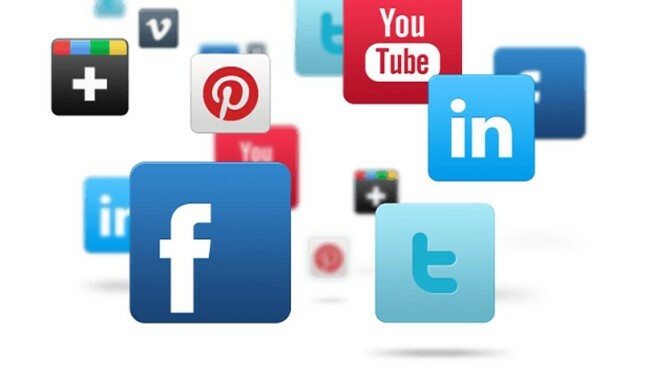 Instead of throwing thousands of dollars away on television advertising that will continue to be less influential in the buying process for consumers as the years pass, social media will be the platform that yields a high reward because of it’s unlimited potential and ability to reach virtually everyone. January 1st is right around the corner, and the perfect time for a new start and new direction for your business’ advertising strategies. Incorporating Facebook Live into your weekly activity on social media, could be the deciding factor between having a great year, or being left behind by those who were willing to innovate. Since the economic recession in 2008, Boston and Eastern Massachusetts as a whole has come out stronger and better than most parts of the United States. Boston has recently experienced a building boom in multiple sections of the city, including the Financial and Seaport districts that’s not only attracting corporations, but individuals with wealth. 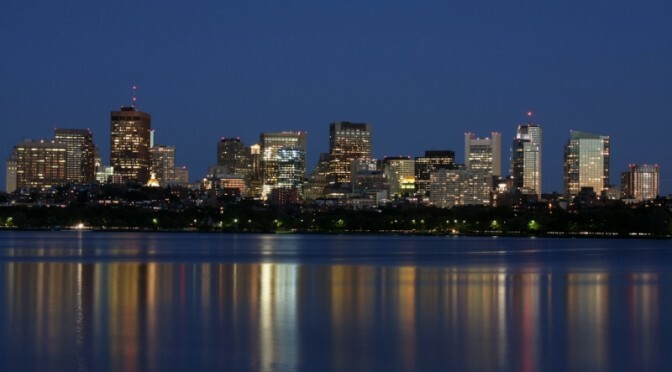 General Electric recently announced that they’re moving their headquarters to Boston, for reasons including the growing market of technology companies in the northeast and the number of certified tech talent. GE no longer wants to be recognized as a industrial company of the last century, but wants to be known as a leader in tech. Another indicator of a wealth shift is the type of stores that are popping up in the area, especially those in the automotive sector. McLaren of Boston, located in Norwell, Massachusetts, recently opened their dealership near the end of 2015. Prior to their arrival, the closest McLaren dealership was in Greenwich, Connecticut. In a 30 mile radius of Boston, there’s three Maserati dealerships, one Lamborghini dealership, one Ferrari dealership, and now McLaren. These places aren’t just here to attract window shoppers, but are tailoring to a growing market of wealthy individuals. Economists are always fear mongering on the economy and constantly spreading the awareness of another recession, starting with retail. On any given weekend, malls such as Burlington, Natick, and Framingham are packed with shoppers. Parking lots are full as if it’s still the holiday season, and even during the height of the recession, local malls really didn’t seem to be affected. Furthermore, retail stores continue to pop up in many cities and towns throughout the commonwealth, signifying a strong local economy. As a resident of Eastern Massachusetts all my life, I’ve never seen Boston and the surrounding suburbs thrive like they have over the past 3-5 years. Sure, the strong economic climate in the early 2000’s was prominent, but not at the level we’re experiencing today. Million dollar homes are being built and people are moving in almost immediately, older two and three family houses are being renovated into condos and being re-sold for more than $500,000 and consumers are buying them, and Boston has had multiple luxury high rise apartment buildings with waiting lists for tenants to move in. In terms of vehicles most local residents own, Mercedes Benz, Audis, and BMWs are becoming all too common. It’s almost become desensitizing seeing Bentley’s, Maserati’s, and Porsche’s everywhere you go, and cars exceeding $100,000 are certainly not rare to find roaming the streets. Fifteen to twenty years ago, this wasn’t the norm, in fact, it was a treat to catch a glimpse of a new BMW, now it requires a bit more to get notoriety. No one really knows where the economic climate is heading, whether positive or negative. One thing is for sure, Boston is becoming a new center for wealth for corporations, consumers, and entrepreneurs. Because people from outside the region are moving into Boston, the city has attracted some big name events, such as the Olympics which plans ultimately fell through, and a IndyCar race which is still scheduled to take place in the Seaport district during Labor Day weekend. It’s safe to say that we’ve been very blessed as of late to not really be impacted by any economic adversity. Now of course, there’s always cities that will be affected, and some being very close to the city of Boston, primarily because they were former industrial hubs. When the factories closed, the middle class moved out and haven’t returned since. These cities aren’t attracting technology companies or businesses in sectors that are very strong and likely won’t anytime soon. The opportunities are certainly there, but the wrong stores are moving in with low paying wages, which won’t accelerate the local economy or put money in residents’ pockets. So far all signs are pointing up for the city of Boston and surrounding suburbs in 2016, and we can only hope that this continues. With the strong local economy, the city’s skyline is beginning to change and evolve, showcasing the progress and economic environment the city is currently in. It’s going to be exciting to see the further transformation of this great city as some new high rises and skyscrapers are in the works, with some already breaking ground.